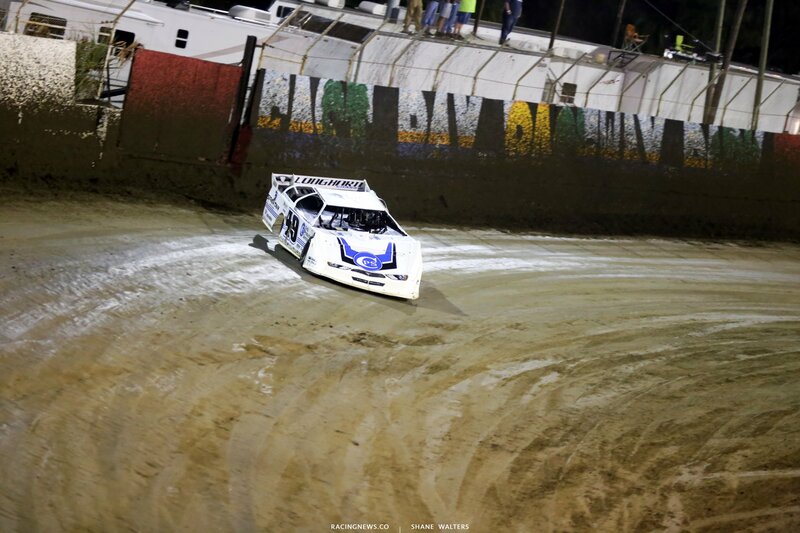 The team set their sights on the Lucas Oil Late Model Dirt Series. They’ve been fast, right out of the box. Of the four races so far, they’ve collected 3 top 5’s. Davenport swept the night last night at East Bay Raceway Park. On the final lap, Overton nearly snatched the win away. 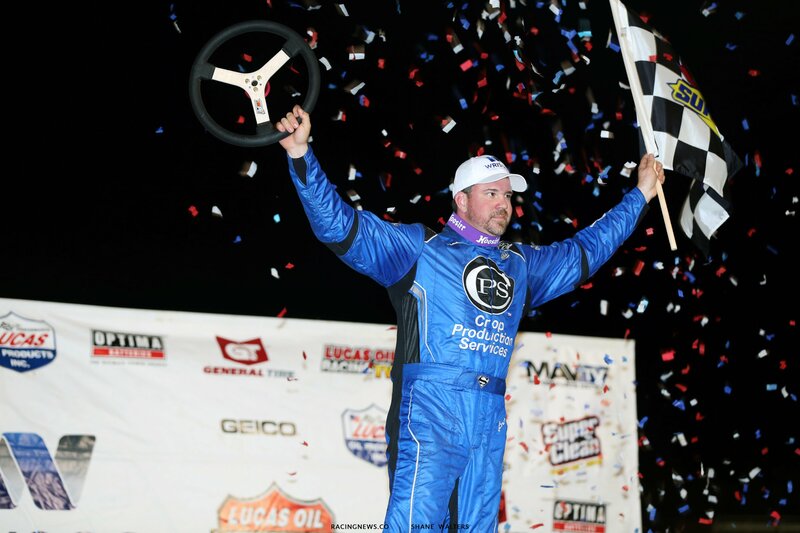 However, Davenport was able to hang on, claiming his first win with the Lance Landers Motorsports team. Two days ago, Jonathan Davenport was charging to the front. It looked like he was heading to a battle for the lead. He ended up finishing 4th. Was that the same thing? Tonight, they re-rack the field at East Bay Raceway Park in Tampa, Florida. This time, the feature event is extended to 40 laps. It was 30 laps in the previous two night. Did you expect to win this soon out of the box? “Well, that’s a big question. But, I felt good that we had a shot at winning,” Lance Landers tells RacingNews.co after the win. Brunswick was the first race of the year for the Lucas Oil Late Model Dirt Series tour. Jonathan Davenport finished 3rd on Friday. Then they followed that up with a 10th place finish after nose damage on lap 1 of the Golden Isles feature. “Or last night, maybe. We had a shot at it. It didn’t look good early in the race,” Landers refers to Monday’s race at East Bay.